Molten Air is a new class of rechargeable batteries we’ve recently introduced. 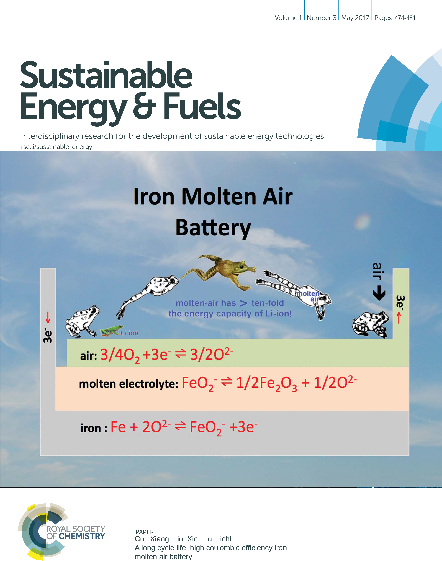 Licht, Cui, Stuart, Wang, Lau, “Molten Air Batteries – A new, highest energy class of rechargeable batteries,” Energy & Environmental Science, 6, 3646-3657 (2013). Cui, Licht, “A Low Temperature Iron Molten Air Battery,” J. Mat. Chem. A, 2, 10577-10580 (2014). Rhodes, Stuart, Lopez, Li, Waje, Mullings, Lau, Licht, “Evaluation of properties and performance of nanoscopic materials in vanadium diboride/air batteries,” Journal of Power Sources, 239, 244-252 (2013). Stuart, Lopez, Lau, Li, Waje, Mullings, Rhodes, Licht, “Fabrication of VB2 / Air cells for Electrochemical Testing,” Journal of Visualized Experiments, (78), e50593, doi:10.3791/50593 (2013). Licht, Hettige, Lau, Cubeta, Wu, Stuart, Wang,”Nano-VB2 synthesis from elemental V&B: nano- VB2 anode/air batt.,” Electrochem. & Solid State Lett., 15, A12 (2012). Licht, Ghosh, Wang, Jiang, Asercion Harry Bergmann, “Nanoparticle facilitated charge transfer and voltage of a high capacity VB2 anode,” Electrochem. & Solid State Lett., 14, A83-A85 (2011). Licht, “Improved Vanadium Boride-Air Multiple Electron High Capacity Battery,” US patent & PCT intl. application, PCT/US11/47237, filed Aug. 10, 2011. Licht, Yu, Wang, Wu, “The Super-Iron Boride Battery,” J. Electrochem. Soc., 155, A297-303 (2008). Licht, Wu, Yu, Wang, “Renewable Highest Capacity VB2/Air Energy Storage,” Chemical Communication, 2008, 3257-3259 (2008) . Yu, Licht, “High capacity alkaline super-iron boride battery.” Electrochmica Acta, 52, 8138-8143 (2007). 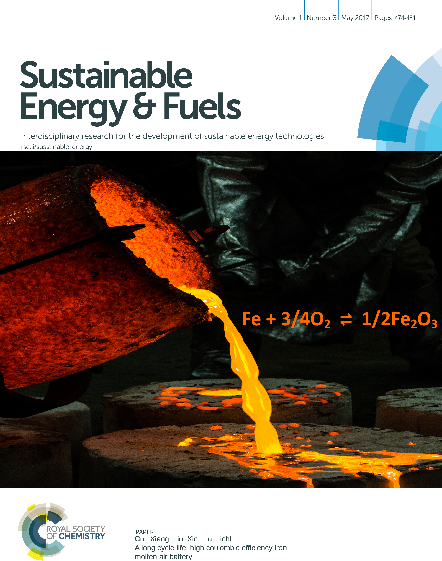 Licht, Yu, Qu, “Novel Alkaline Redox Couple: Chemistry of the Fe(6+)/B(2-) Super-iron Boride Battery,” Chemical Communication, 2007, 2753-2755 (2007). Farmand, Licht Ramaker, “Studying the Reversibility of Multi-electron Charge Transfer in Fe(VI) Cathodes Utilizing X-ray abs. Spectroscopy,” J. Phys. Chem. C,117, 19875(2013). “Super-iron nanoparticles with facile cathodic …,” Electroch. Comm., 13, 909 (2011). 28 page Chapter: “Fe(VI) Water Purification and Remediation,” and 45 page Chapter: “Recent Advances in Fe(VI) Synthesis”. Yu, Licht, “Advances in Fe(VI) charge storage: Part I. Primary alkaline super-iron batteries “171, 966 (2007). Yu, Licht, “Adv. in Fe(VI) charge storage: Part II. Reversible nonaqueous super-iron batteries”171, 1010 (2007). XRD, UV/Vis, ICP, Electroch. & Chem. Characterization,” J. Power Sources, 101/2, 167-176 (2001). Licht,”An Energetic Medium For Electrochemical Storage Utilizing The High Aqueous Solubility of Potassium Sulfide,” Journal of the Electrochemical Society, 134, 2137-2141 (1987). Licht,. 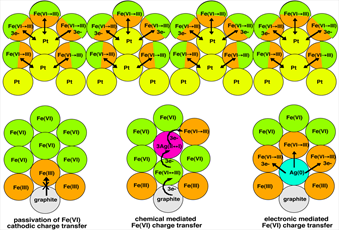 Jeitler, Jin H. Hwang, “Aluminum Anodic Behavior in Aqueous Sulfur Electrolytes,”J. of Phy. Chem., 101, 4959-4965 (1997). Licht, “Aluminum Sulfur Battery Discharge in the High Current Domain.” J. of the Electrochem. Soc., 144, L133-L136 (1997). Licht, Hwang,. Light, Dillon, “The Low Current Domain of the Aluminum Sulfur Battery,” ibid, 144, 948-955 (1997). Licht, “The Reduction of Non-traditional Aluminum Salts,” Light Metals, 216-226 (1995). Licht, Peramunage, “A Novel Aqueous Aluminum/Sulfur Battery,”Journal of the Electrochemical Society, 140, L4-L6 (1993). Peramunage, Dillon, Licht, “Investigation of a Novel Aqueous Aluminum/Sulfur Battery” J. of Power Sour., 45/3, 311-323 (1993). Licht, Levitin, Yarnitzky, Tel-Vered, “The Organic Phase for Aluminum Batteries,” Electrochem. and Sol. State Let., 2, 262-264 (1999). Levitin, Yarnitzky, Licht, “Fluorinated Graphites as Energetic Cathodes” Electrochem. and Sol. State Let., 5, A160-164 (2002). Licht, Levitin, Tel-Vered, Yarnitzky, “The Effect of Water on the Anodic Dissolution of Al…,” Electrochem. Comm., 2, 329-333 (2000). Vered, Levitin, Licht, “Solution Activators of Al. Electrochemisty in Organic Media,” J. of the Electrochem. Soc., 147, 496-501 (2000). Marsh, Licht, “A Novel Aqueous Dual Channel Aluminum Hydrogen Peroxide Battery” J. of the Electrochem. Soc., 141, L61-L63, 1994. Licht, Myung, “A High Energy and Power Novel Aluminum Nickel Battery,” J. of the Electrochem. Soc., 142, L179-L182 (1995). Licht ”A Novel Aqueous Aluminum/Permanganate Fuel Cell,” Electrochemistry Communications, 1, 33-36 (1999). Licht, “Novel Aluminum Batteries: Step Towards Derivation Of Superbatteries,”Colloids and Surfaces A, 134, 241-248 (1998). Licht, Peramunage, Myung, “Ultrahigh Specific Power Electrochemistry Exemplified by Al/MnO4-and Cd/AgO Redox Chemistry,” Journal of Physical Chemistry, 102, 6780-6786 (1998). Licht, Yu, “An Alkaline Periodate Cathode and Its Unusual Solubility Behavior in KOH,” Electrochem. & Sol. State Let., 10, A36-39 (2007). Bendikov, Licht, Yarnitzky, “Energetics of a Zinc-Sulfur Fuel Cell,” Journal of Physical Chemistry, B, 106, 2989-2995 (2002).